Cybotron - Enter. Vinyl LP. Bleep. 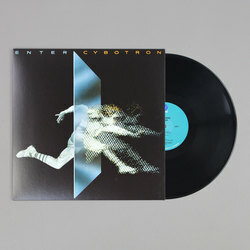 Juan Atkins and Richard Davis’ debut album as Cybotron, released in 1983, remains a landmark work of Detroit techno and electronic music at large. 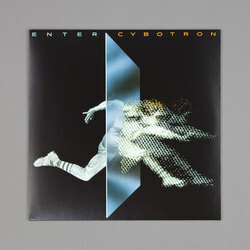 Over eight tracks the duo present a vision of futuristic computer music which achieves the sonic equivalent of its cover, turning man into machine. ‘Cosmic Raindance’ pushes synthetic elements into levels of bombast which border on prog-rock, with huge sliding and strident solos taking the fore, but it is the music’s core rhythmic drive which prevents it from becoming overly sweet. Classic cuts like ‘Alleys of Your Mind’ and ‘Clear’ channel Kraftwerk in their use of robotic vocals, which add a sinister and raw element to the precisely rendered production style.